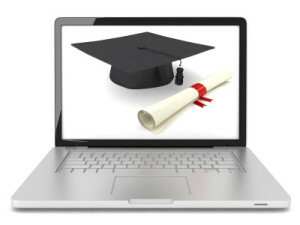 Home › FAQ › Is an Online Degree as Good as a Traditional Bachelor’s Degree? If you are considering a college education, you might wonder if an online degree as good as a traditional bachelor’s degree? There are a lot of opinions on this topic, and current research indicates that online learning has its benefits, according to Network of Schools of Public Policy, Affairs, and Administration. The primary question is whether or not an online education is right for you. Online education benefits individuals for whom transportation to a college campus or classroom might be difficult. It also works well for those who have demanding work schedules or are raising children while completing college. However, even students who don’t work full time or have families can also benefit from the dynamics of online studies. One of the key components of learning is interaction. Opportunities to interact with an instructor as well as with other students are integral to education, and online classes often make it easier for reserved students to interact with instructors and peers. The best online classes are those that provide for regular student-to-student interaction and discussion through online boards and other means as well as for regular interaction between students and the instructor. In a traditional class setting, students and instructors interact in person. This works better for certain students who need a more personal connection with their teachers and their peers. Some types of learning can be facilitated more easily in a classroom setting than online. Science labs, technical and mechanical training, and some nursing courses are easier to complete at a college facility because of their hands-on nature. In addition to these classroom benefits, traditional education is often chosen by younger students due to increased social opportunities. Students who wish to stay in the dorms, join a fraternity or sorority, play intramural or college sports, and get one-on-one support from guidance counselors and professors will prefer a traditional route to their bachelor’s degree. Many bachelor’s programs available today allow students to take a combination of online and traditional courses. Many classes have classroom or lab elements as well as online features. When determining if an online degree is as good as a traditional bachelor’s degree, keep in mind that your choices may not be between one or the other. If you live a long distance from the school you wish to attend, you may be able to enroll in classes that are held primarily online with three or four sessions held at the institution of higher learning. If you need to take several science classes that involve laboratory work, you might be able to complete the majority of your education online while visiting a lab on campus once a week. The most important part of choosing a degree program is finding the program that will best prepare you for career success. To do this, you need to find a school that provides classes in which you can learn as much as possible about your chosen field. You also need classes that accommodate your schedule and your personal circumstances. As long as a degree program is properly accredited, your personality and life circumstances will weigh the most into whether the online degree is as good as a traditional bachelor’s degree.